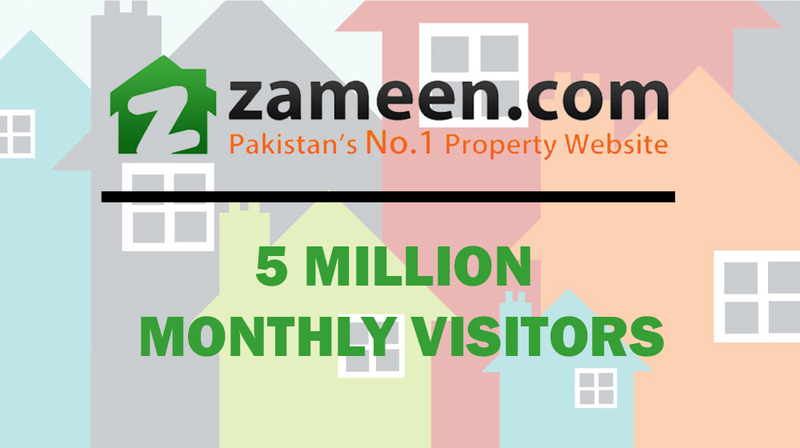 Zameen.com, Pakistan’s top property portal, announced that it had crossed the 5 million monthly visits mark in March 2018, with 32.9 million page views across all devices and platforms. Around 30% of this traffic came from overseas Pakistanis. According to Zameen.com CEO Zeeshan Ali Khan. We are grateful to our visitors and the agencies, developers, and home partners who work with us. It is all of these people who have helped make Zameen.com what it is today, and we are proud to offer them seamless access to Pakistan’s entire real estate market at the click of a button. Over 350,000 new listings are posted on the website every month, which is a key factor behind the rapidly increasing audience, Khan added. Since its inception in 2006, Zameen.com has grown rapidly to become one of the biggest and most well-funded start-up to emerge from Pakistan. In addition to the online portal, Zameen.com organizes the largest and most well-attended real estate events in the country under the Zameen Expo brand. To date, 14 such events have been held in Lahore, Karachi, Islamabad and Dubai. Our aim is to continue to facilitate the real estate sector of the country in every domain and avenue possible. Zameen.com enjoys the trust of millions of Pakistanis in the country and around the world, and we will continue to build solutions that enable easier access to the market and more informed decision making. Zameen.com is Pakistan’s largest online real estate entity, with presence across 30 cities, over 14,500 agencies, and more than a million registered members.